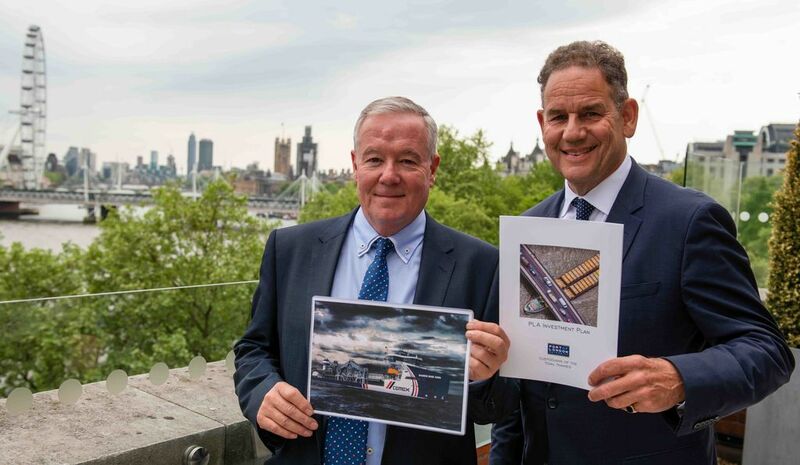 The Port of London Authority (PLA) has launched an Investment Plan aimed at accelerating delivery of the goals in the Thames Vision and diversifying the PLA’s income streams. The Thames Vision is a 20-year development framework for the river, created with stakeholders over 18 months from early 2015 to mid-2016. Across six goals, the Vision targets greater river use, alongside an improving environment. The Vision is being delivered in partnership by the PLA and stakeholders. Key elements of the Vision are reflected in the London Plan and the Mayor of London’s environment and transport strategies. PLA chairman, Christopher Rodrigues CBE, said: “We have built up a strategic cash reserve over many years to provide us with scope to make beneficial investments and to provide a buffer against economic downturns. “We’re going to turn that reserve to active use, sustaining and growing river use and improving the environment. The Thames Vision sets out really ambitious goals and this is us doing our bit to kick start development and growth. This isn’t just for us to do alone, but we see a unique opportunity to use our reserves to lever in other funds and increase all kinds of river use. Rodrigues launched the Investment Plan at the PLA’s Annual Stakeholder Forum, where he also provided updates on the Air Quality Strategy for the tidal Thames and new long term agreements to support the Thames Festival Trust and, separately, the Thames Explorer Trust to deliver lessons to school children. The first investment under the new PLA approach will be in partnership with CEMEX UK to improve ship unloading infrastructure at its Northfleet terminal. Under the agreement, the PLA will be investing over £3 million in the installation of a new conveyor system at the site. The conveyor will improve cargo discharge performance at the site, which handles sand and gravel used in the London construction market. At its Stakeholder Forum, the PLA reported an operating surplus of £7.3 million for 2017 (2016: £12.5 million); income rose by 2% to £58.4 million (2016: £56.9 million).